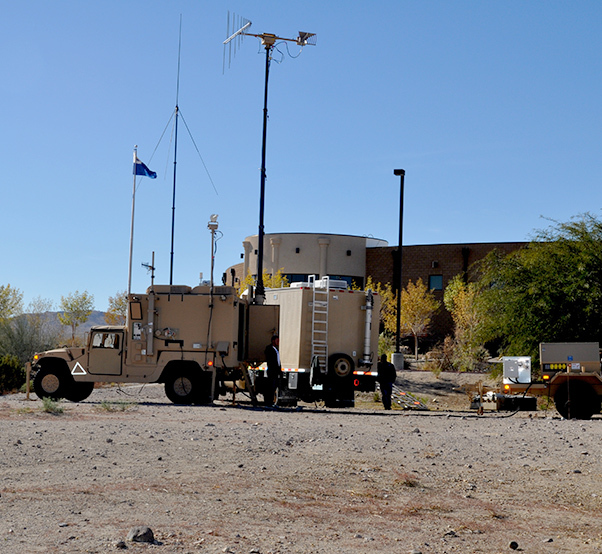 A mobile electronic jamming system, developed by the Threat Systems Management Office at Redstone Arsenal in Alabama was demonstrated at the National Training Center on Fort Irwin, Calif., Dec. 2, 2015. 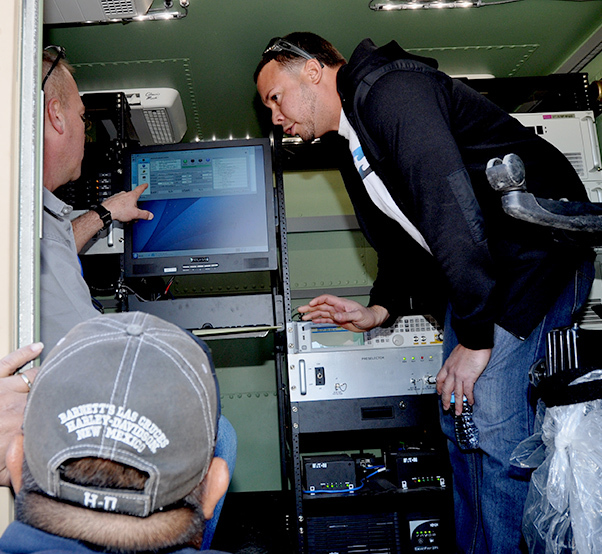 The Army Threat Systems Management Office, or TSMO, team visited the National Training Center at Fort Irwin, Calif., Dec. 2, to demonstrate electronic jamming technologies recently developed at their Redstone Arsenal office in Alabama. TSMO electronics engineer Curtis Leslie said the team was here to brief National Training Center senior leaders how the small, direct inject jammers can be programmed on cue to simulate jamming of radio signals used for electronic detection and communications during battlefield training scenarios. John Stange, an electronic technician with Test LLC, explains how the jamming system is triggered through a simple signal sent by line-of-sight transmission. The jammer box is installed between the antennae and a radio transceiver. 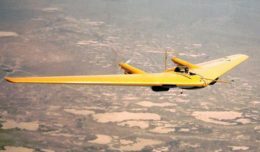 It can be programmed to digitally produce different kinds of jamming signals when cued by a simple line-of-sight signal sent remotely by an observer-controller-trainer. Leslie said that a typical jammer transmitter broadcasting live over “public” air waves require military, Federal Communications Commission or Federal Aviation Administration agency approvals, which often limit jamming to late night and early morning hours. He said that while the injection jamming concept is not new, recent technological advances have allowed the jammers to become smaller in size and require less power, making them ideal for use on military training centers where getting clearance for very congested environments in the wireless spectrum may be problematic. 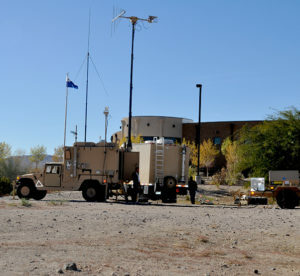 The demonstration at the National Training Center is part of the Army’s space training strategy to offer advanced technologies developed by TSMO for the warfighter training community. 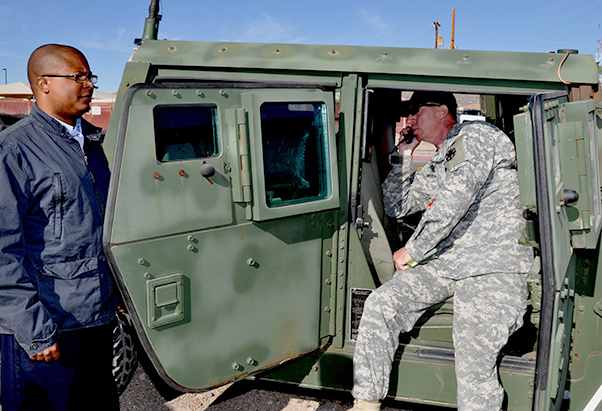 Lt. Col. Matthew D. Owens, National Training Center’s director of instrumentation, listens to a radio transmission signal disrupted by the Threat Systems Management Office direct inject jammer.